The man is expected to appear at Aberdeen Sheriff Court. A north-east fishing boss has been spared jail after using fraudulent labels to allow him to export his products to Russia. Alistair Thompson exported £210,250 worth of salmon from his company Sea-Pac Ltd – despite not having a licence to do so. In order to conceal this, he arranged for labels from Fraserburgh Freezing and Cold Store Ltd, which is owned by his son, and Shetland Products Ltd to be placed on the goods in question. 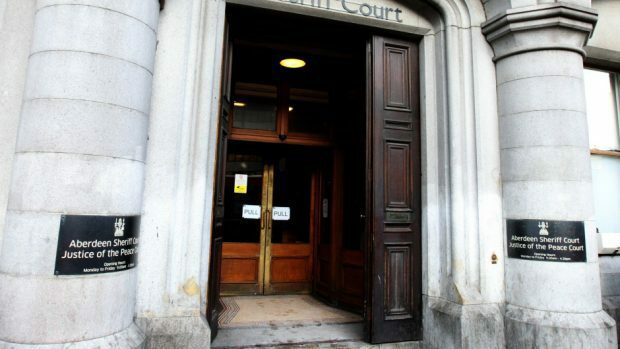 The 70-year-old admitted to the fraud, which took place between February 2013 and January, 2014, during an appearance at Aberdeen Sheriff Court. His confession came after a four-year investigation involving both the city’s local authority and Food Standards Scotland. The court heard he lost his business because of his actions. Representing him, defence agent Derick Nelson said: “The company involved went into liquidation. He has lost his good name that he built up over many years. He also said there were no complaints about the quality of the fish which was exported. Imposing a sentence, Sheriff Andrew Miller said: “I take into account a number of factors including your age, the fact you pleaded guilty and the fact you have lost your good name. “But for the fact that Mr Nelson said that there was no difficulty with the salmon, it seems to me that a custodial sentence would have been entirely appropriate. Thompson, whose address was given as Mains of Park Cottage in Lonmay, was ordered to carry out 300 hours of unpaid work. A spokesman for Food Standards Scotland said fraud of this type would not be tolerated. He added: “Today’s sentencing of the director of Sea-Pac Ltd represents the culmination of a four-year investigation which uncovered large-scale food fraud.